My opinion on exercise is that everything should be done in moderation, and only if it does not cause new (or exacerbate existing) injuries. In addition to cycling to work, I've joined the Badminton community at my workplace. The community has recently been playing on Friday's during lunch every two weeks at Affinity Badminton Club in San Carlos. To clarify, I have only played here on weekdays during lunch. I've been to a few other badminton clubs in the SF Bay Area. I always pay with a drop in fee because I do not play enough to warrant yearly or montly membership. 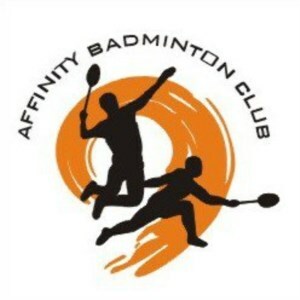 At Affinity Badminton Club, the drop in fee is $5, for unlimited time (although we only stay during the lunch hour). That to me is a fair price to pay, even if I only stay no more than two hours. It is quiet during the lunch hour and finding a court is never a problem. They have seven badminton courts,and no electronic system court queuing system found at more crowded clubs. They have a small bathroom that doubles as a changing room, but no shower facilities. Parking in the rear of the building is plentiful and they have a small proshop. The main reason why I play is it's a lot of fun. It's a good change of pace on a Friday afternoon and gives me the opportunity to forget about the stresses of work. After just 30-40 minutes, I can work up a good sweat and give my forearm a good workout. I've always felt quick on my feet, but playing Badminton gives me the chance to work on my reaction speed and read the play as each point unfolds. Compared to running or cycling where the pace is more or less steady and without the need quick sudden movements. The gear is relatively cheap, where all I need to bring is a badminton racket and a birdie. Though the feather birdies can get expensive, I always carry around a plastic one which lasts forever. Lastly, I'm not a nutritional expert, but badminton at lunch always works up a big appetite. As long as I'm moving around and hitting the birdie, must be burning calories while playing, so eating a meal right after I finish playing (usually ~1:45pm to 2pm) always hits the spot. And because my lunch is so delayed, I end up eating a smaller dinner. My thought is this is a positive aspect for calorie counters.